They say a picture is worth a thousand words. 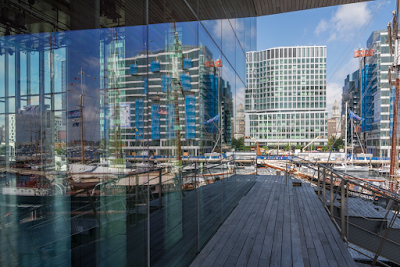 Fort Point photographer George Vasquez chronicles the explosion of window and mirrors transforming the Seaport in his one man show at the Gallery At 249 A. 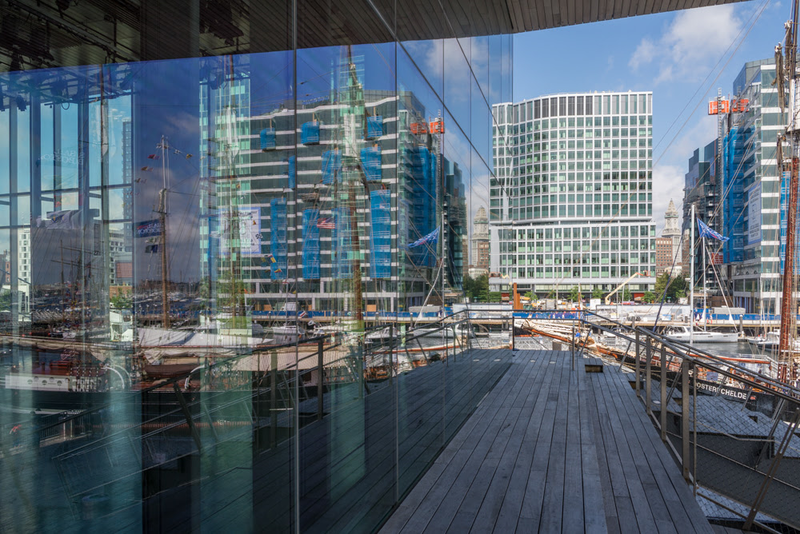 His photographs portray the Seaport as buildings of steel and glass emerging and merging with sky and water on the edge of the Boston Harbor. The exhibition runs through May 15th. The gallery is open by appointment and during 249 A Street's Spring Open Studios weekend, May 12-13th. Gallery At 249 A features rotating art exhibitions and special arts events. The space is an evolving project of the 249 A Street Cooperative, one of Massachusetts’s first limited-equity live/work cooperative for artists. The building, which is home to more than 45 artists and their families, has served as a model for artists’ housing nationwide and was key in the growth of the Fort Point Arts Community (FPAC). Gallery At 249 A Street was the home of the FPAC Office for its first eleven years. The 249 A Street Cooperative celebrated its 30th anniversary with the opening of this new gallery space in September 2014.